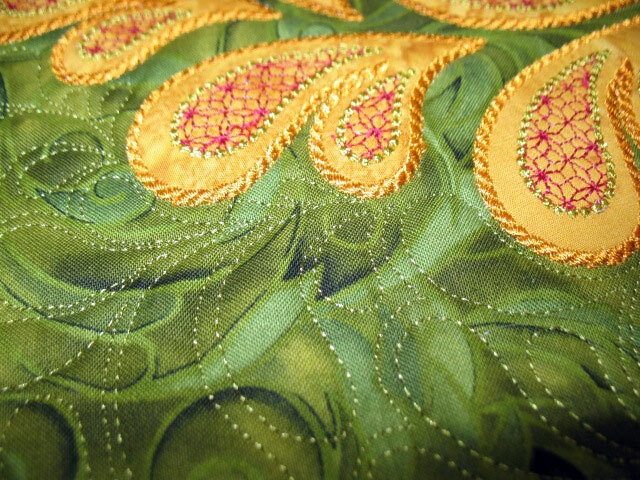 And here’s something fun for you: be sure to check out SewCalGal’s blog starting tomorrow, 12/1/12. 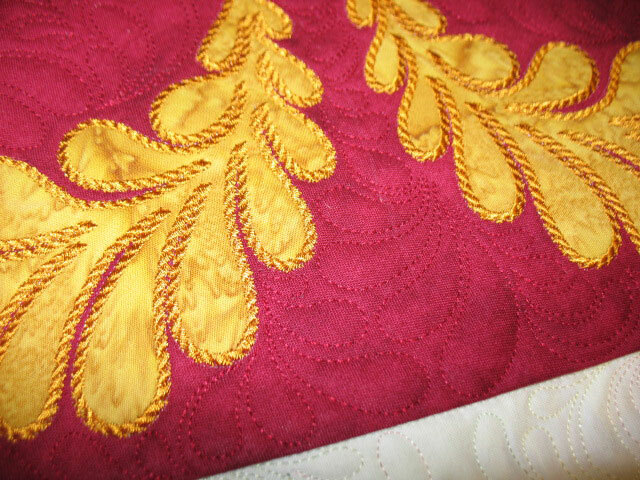 I’m the guest teacher for the December posting in the 2012 Free Motion Quilting Challenge. 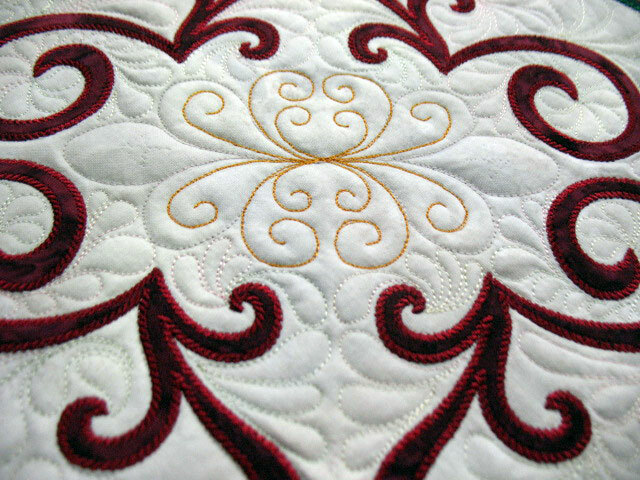 My post is all about machine quilting border designs and I’m hoping you’ll like it! 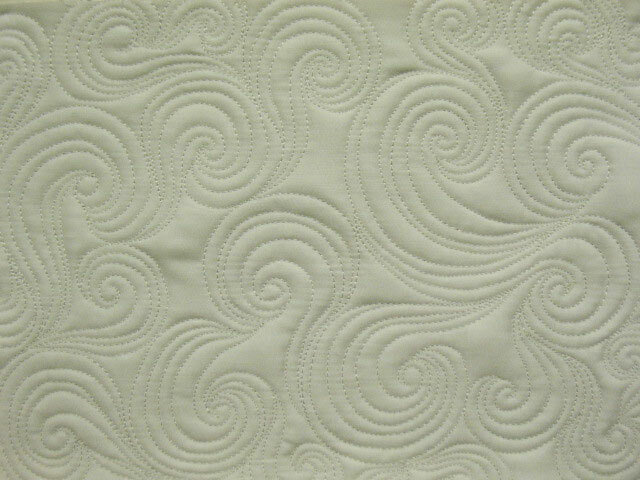 If you haven’t been following the 2012 Free Motion Quilting Challenge, get into it now! 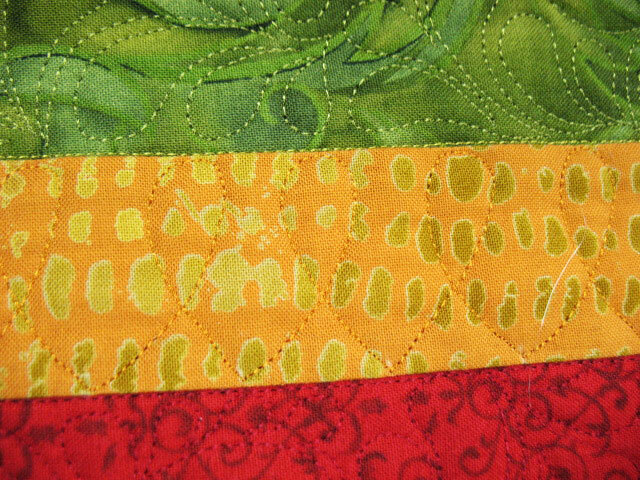 I’m not kidding…SewCalGal has put together a fabulous array of tutorials throughout 2012 and if you’re trying to learn to FMQ, this is a must-see. 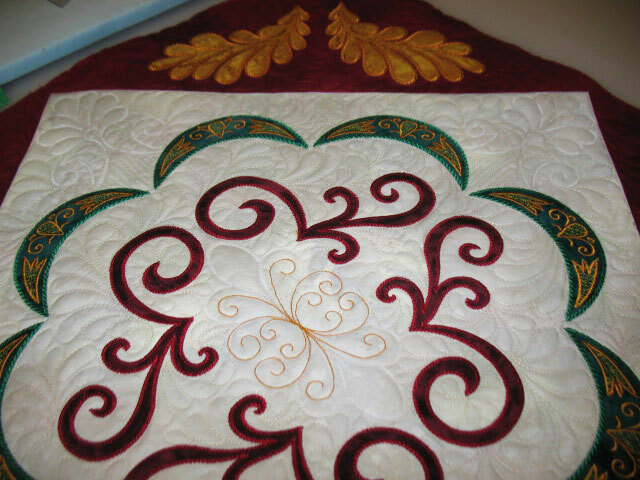 To access all of the FMQ Challenge tutorials, go here. *Please note: you will receive your gift certificate via email on Tuesday November 27, 2012. Only one gift certificate per customer during this sale. Gift certificates can be used on your next purchase and will be valid for 30 days. 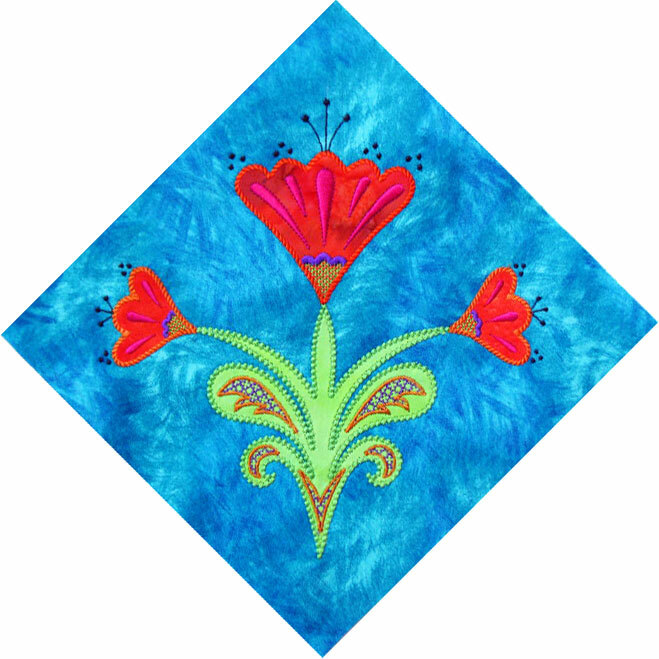 And we’ve made some changes to our web site to help your loved ones find all the fun quilty stuff you’d love to receive as a gift! We now have a “wish list” function, so if there are products you’d love to receive, click just below the product on the “add to wishlist” button, and soon you’ll have a list of all the wonderful notions/fabrics, etc that you’re wishing for! Just ask your loved ones to log into the store using your name, and they’ll have your list at their fingertips! If there’s something you’d like and you’re not seeing it in our store, just let us know and we’ll try to get it for you. We want to be your one-stop shopping for the holidays! The holidays are officially here and that means it is travel time! It is not too late to order some wonderful Tutto Luggage (20% off MSRP) so you don’t have to leave your project behind! This is a quick way to earn a Gift Certificate! Make sure and check out all of our great new products below! Tutto Monster Machine On Wheels™ For huge, heavy monster machine. For machine in the case to transport. 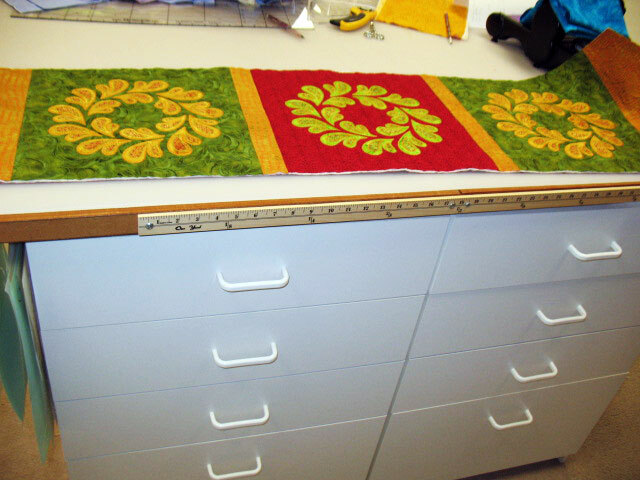 The perfect fits your small machine bag or serger. You also can hook extra piece on top. 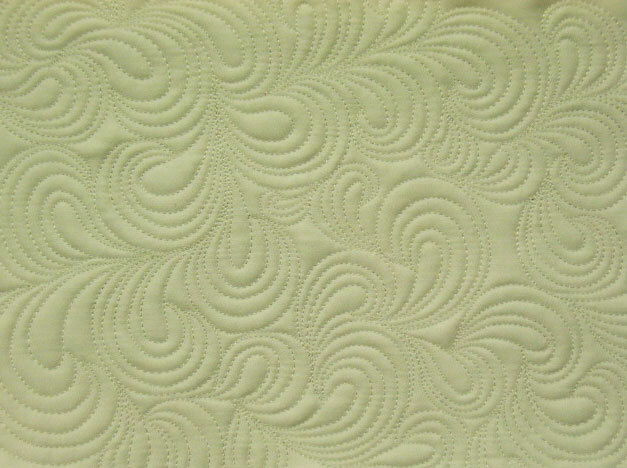 Perfects for sewers, quilters, and designers. This fun batting shrinks and stiffens when heated. It will allow you to do all of the projects you would do with Texture Magic, but this product has the body of batting. Check out the following patterns that can be used with this batting! 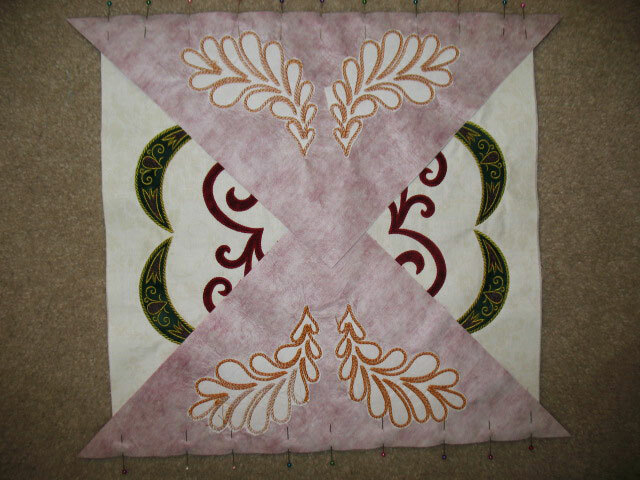 Jacqueline has designed a small 30in x 30in quilt with all the typical BeColourful features: stars, spikes, curves, circles, corner parts, sashings, flying geese, inner & outer border & mitered corners. 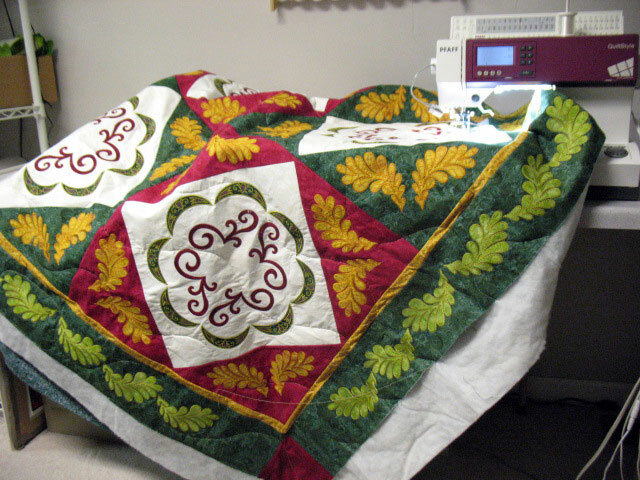 She takes you each part, step-by-step, to show you how to make this stunning quilt! This handy Wearable Pincushion has a jewelry style back. It easily attaches to your clothing for a cute, wearable pin cushion that is also functional. 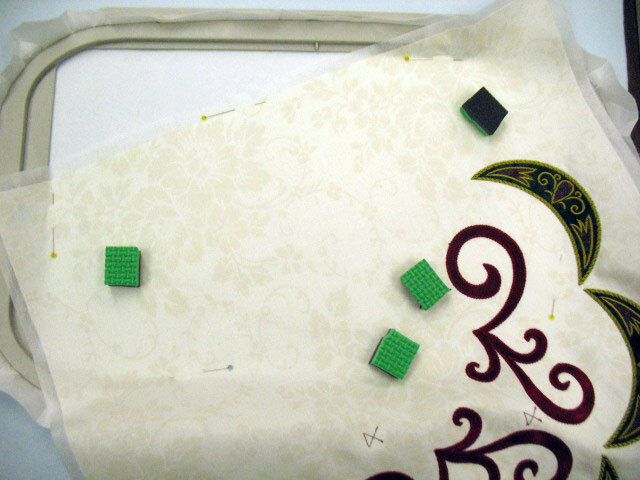 Pin one to your tote bag or project case, or to a pillow or armchair cover while hand sewing. Great gift or stocking stuffer! 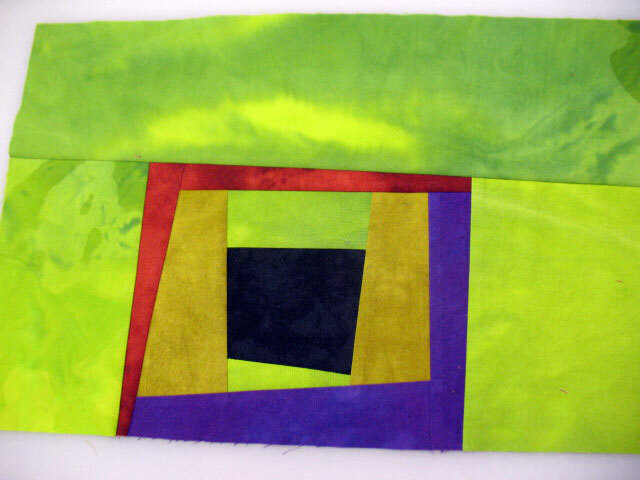 DecoFabric markers are great for dark colored fabrics. Colors are water resistant when dry. 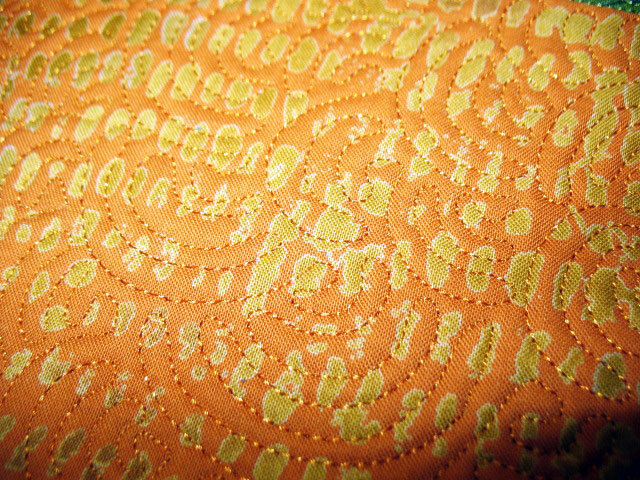 Heat setting is recommended and easy; heat set with an iron .. The fine point tip is great for details. 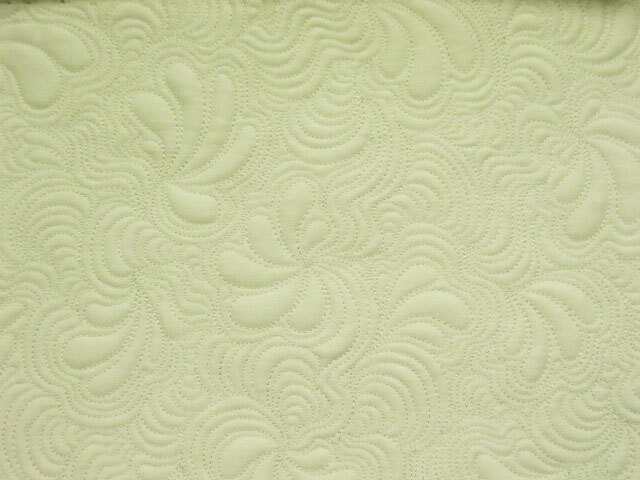 DecoFabric is acid free, non toxic, odorless and lightfast. Each set includes markers in 6 different colors. Easy and fun to use. Kids will love using them, too. Pearl Includes:1 each of pearl white, black, blue, green, violet, and pink. 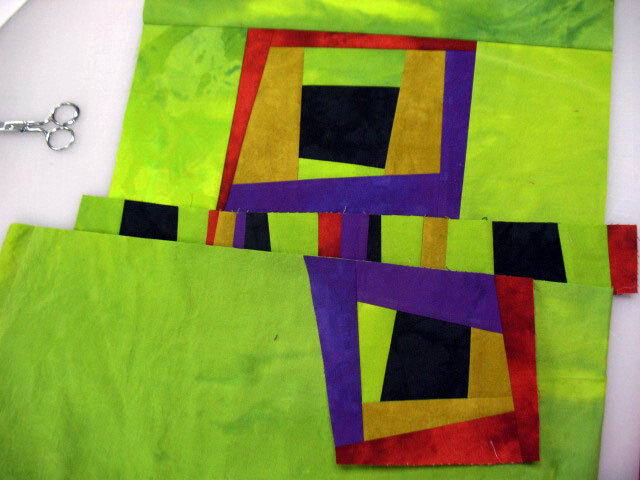 Primary Includes: 1 each of black, white, red, blue, green, and violet. Glitter Includes: 1 each of glitter gold, silver, red, blue, green, and violet. Gran’s Christmas table pattern includes place-mats, coasters, candle mat and iron on transfers. 4 1/4in x 7in. Continuous line. Christmas Trees in Three Sizes! Filed under Store Updates. Comments Off on Black Friday Through Cyber Monday Sale! …and then I spent the afternoon in the kitchen with Ernie. We had a wonderful meal with our friend, Peggy, and are now feeling very full watching old episodes of Homeland. I have much to be thankful for and hope you had as nice a Thanksgiving as I did! 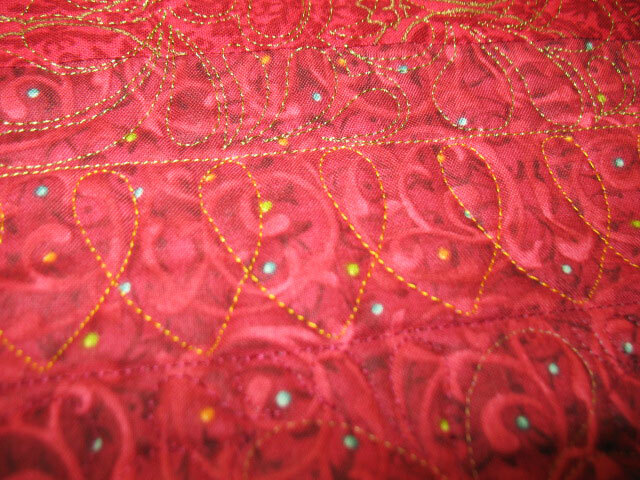 This was a table runner/door runner I made last winter that was stolen when my car was broken into last March. I really liked it and intended to make a replacement. 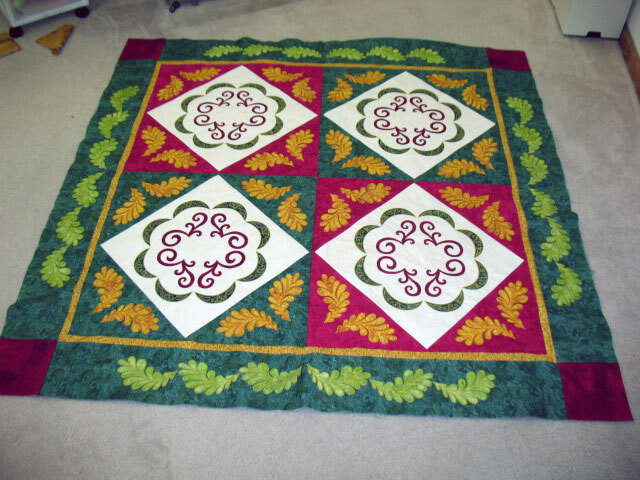 I embroidered the 3 large blocks months ago and have never gotten around to the easy part of piecing them together and quilting it. I finally did this weekend!! 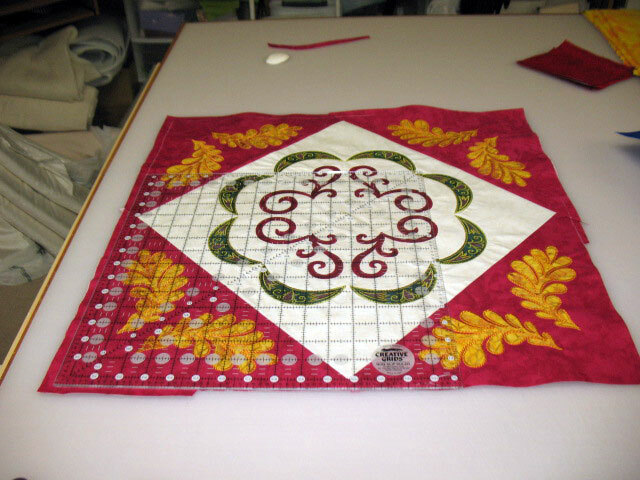 I meet quilters all the time who are afraid to use any thread for quilting that isn’t labeled “quilting thread” and you are really missing out on the fun if you don’t play with all the luscious threads that are out there! 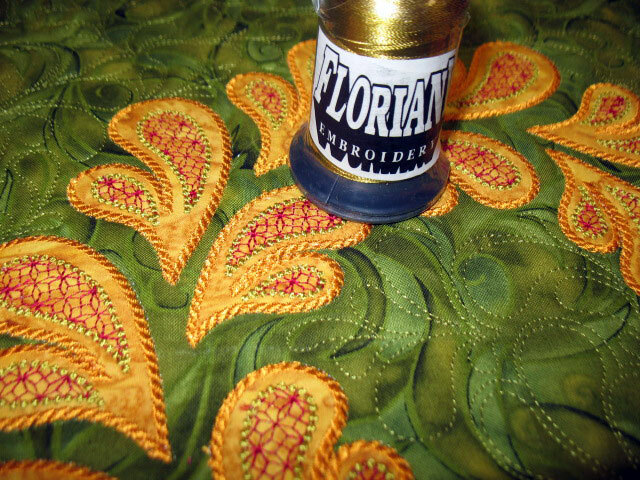 If you haven’t tried Floriani yet, here’s a link to my supplier, the I Have a Notion online store. 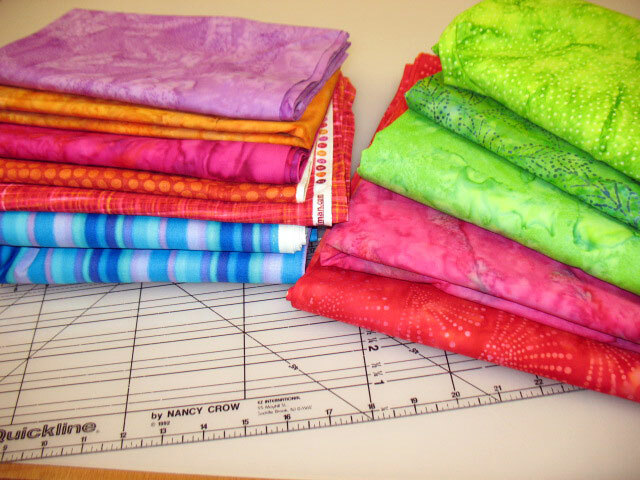 I know, I don’t need any more fabric!! I think I’ll definitely be using this one again! 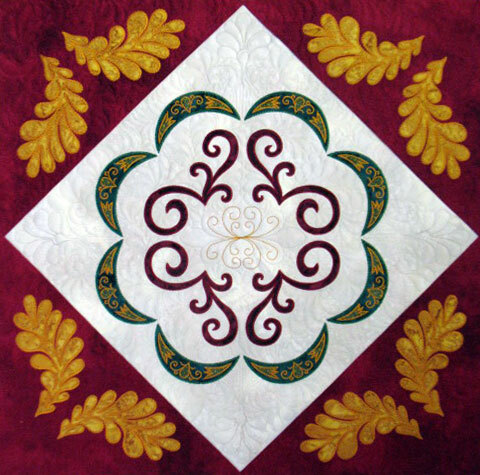 And on a more somber note, have you ever become so frustrated and disenchanted with a quilt that you just wanted to divorce it? OMG, I’ve wanted to set this one on fire for a number of days now, but I’ve invested so much time into it that I’m going to finish it. 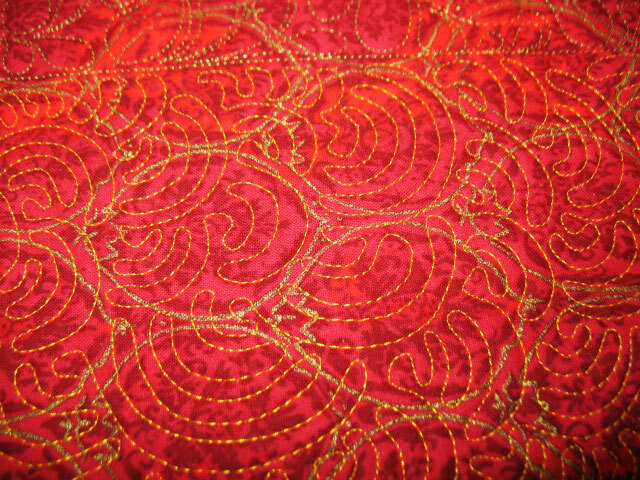 I’m shipping it off to a longarmer tomorrow to have it basted so I can quilt it, but I’m so glad it will be out of my sight/hands for a few days. If nothing else, it will keep me from doing something drastic to it!